Though Samsung's Galaxy Note 7 has been discontinued for several months because of battery issues, there are still "thousands" of Verizon customers who are continuing to use the devices against the company's advice. To put a stop to the rogue Note 7 users, Verizon tells Fortune that it's prepared to take more extreme steps to disable the devices. Verizon has already issued a carrier update that stops the Galaxy Note 7 from working, but some customers have been able to avoid installing it. 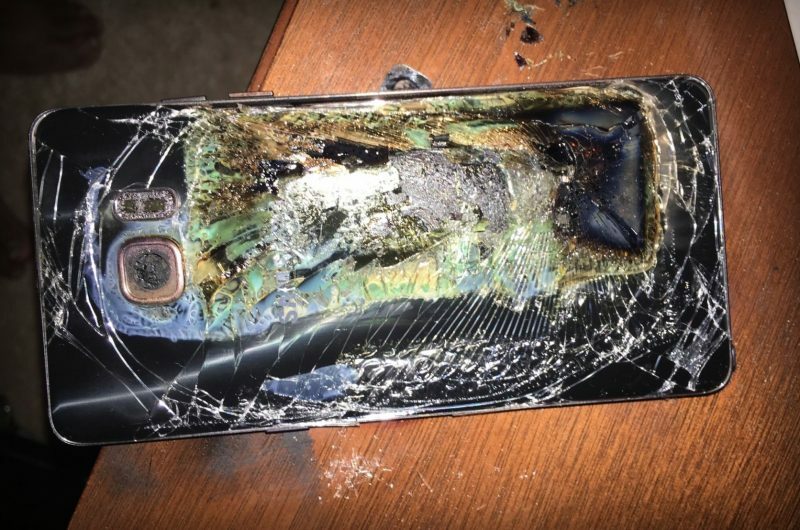 Verizon plans to make it so calls placed on remaining Galaxy Note 7 devices will only connect to the company's customer service representatives, with the exception of 911 calls. Verizon is also considering charging customers who continue to use the Note 7 for the full retail price of the device, as it has sent out refunds. "In spite of our best efforts, there are still customers using the recalled phones who have not returned or exchanged their Note 7 to the point of purchase," a Verizon spokeswoman tells Fortune. "The recalled Note 7s pose a safety risk to our customers and those around them." Verizon customers who return a Note 7 device to the company continue to be eligible for a $100 bill credit and no upgrade fee as an incentive to choose a new smartphone. Samsung has not officially announced the results of an internal investigation it conducted on the Galaxy Note 7, but company sources yesterday told Reuters that Samsung has concluded the battery was the reason behind the fires. Samsung was able to replicate the fires during its investigation, though the cause was not able to be explained by hardware design or software. Samsung's official results will be shared on January 23, and the company is also expected to share details on measures it will take to prevent similar battery issues in the future. Sorry but I don't get why this is still relevant for Macrumors, there will be people using this phone until they die. They're idiots but why does it matter to us anymore. Good. It's irresponsible for people to be continuing the use of these phones. If the risks only affected the users themselves I'd say let them be, but this potentially affects the safety of others (like the Verizon spokeswoman mentions in the quote), so it's not ok.
Good. I'm glad that Verizon is cracking down. I work part time in retail, and I honestly will let customers know how stupid and irresponsible it is for them to continue using these phones. There's nothing preventing a customer from returning the phone, after all this time, except stupidity and ignorance. They will probably end up as collectors items and be worth some money. It's no longer their property as a recall was issued. So HYPOTHETICALLY I own an illegal weapon (any kind) and since it's my property the police can't charge me? LOL. A Recall doesn't mean it's not their property :rolleyes: That is the most insane comparison I've ever read? A phone isn't an illegal weapon. Just send a modal alert with an OK button to these devices that says "I agree that if I kill myself or others due to the fact I still use this phone, then I alone am liable". You click OK and it's saved off somewhere remote. Liability transferred. They lifted the requirements that the airlines need to make the announcement, but the phone is still banned. Why would someone continue to use a device that's likely to burn down your house/car/work? Imagine someone gets killed, you get charged with negligent homicide? It should be pretty easy for Verizon to crack down on Note 7 users considering their batteries are better than those anti-shoplifting ink packs.